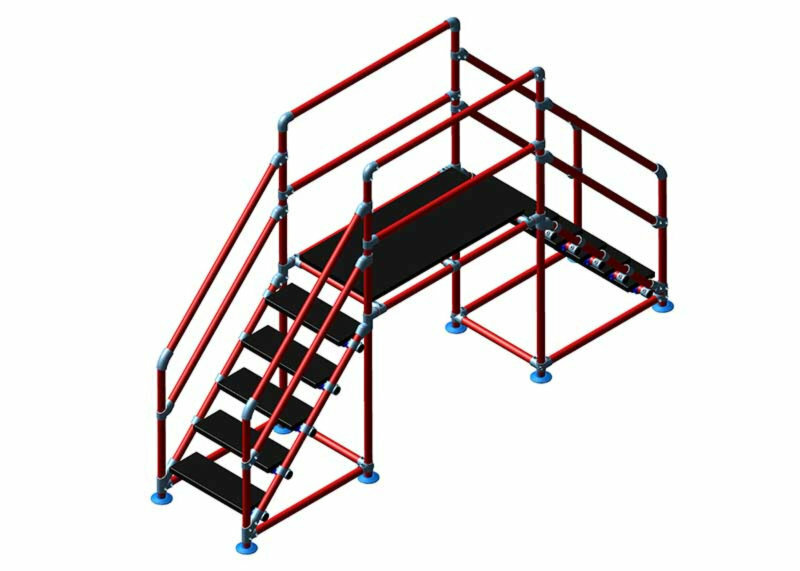 Rolling Platforms are compliant with all OSHA Standards for platforms. 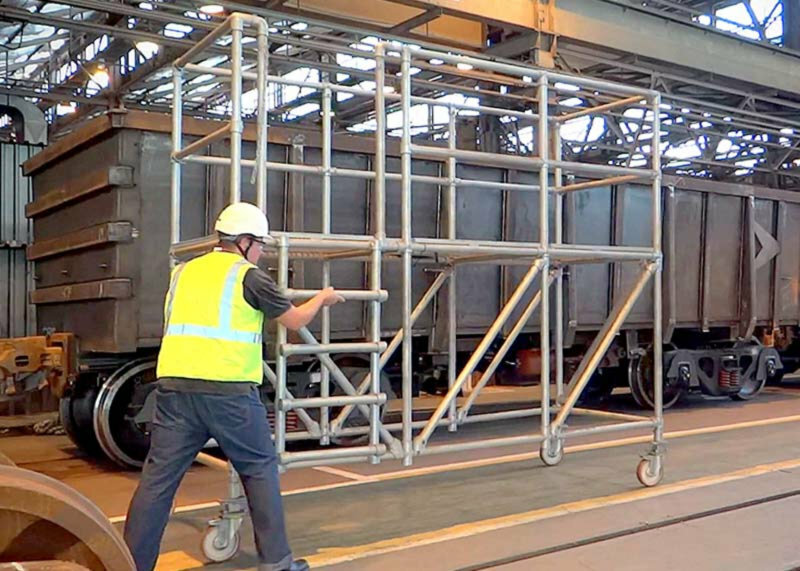 Rolling Platforms ensure both stability and protection. 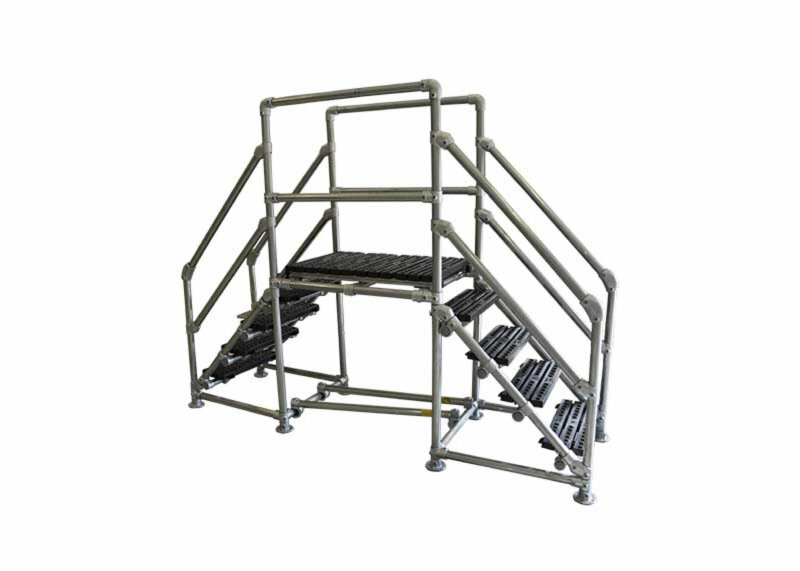 Rolling Platforms can be designed to accommodate safe access over any obstacle or obstruction. 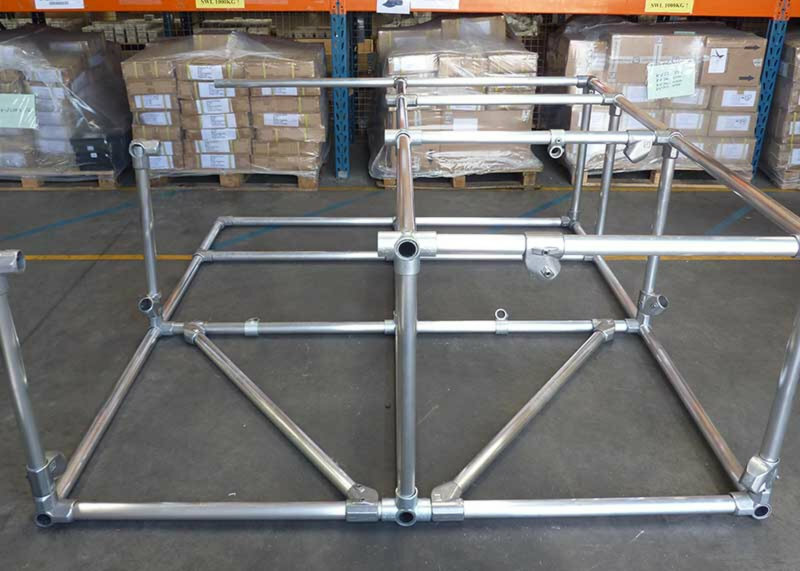 Rolling Platforms are easy to assemble, configure, adjust, and take apart on site. 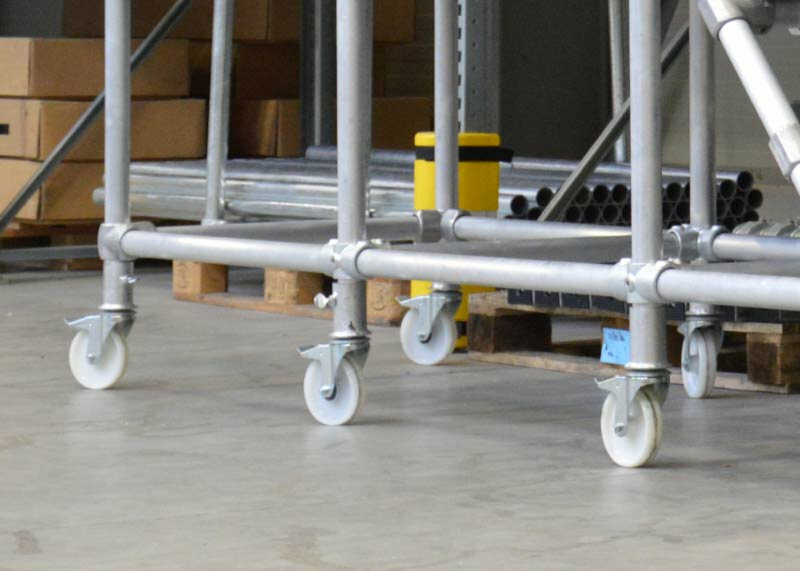 Rolling platforms can be moved across your facility with minimal effort allowing you to use the platform in multiple applications. Platforms are securely locked in place at the work site. 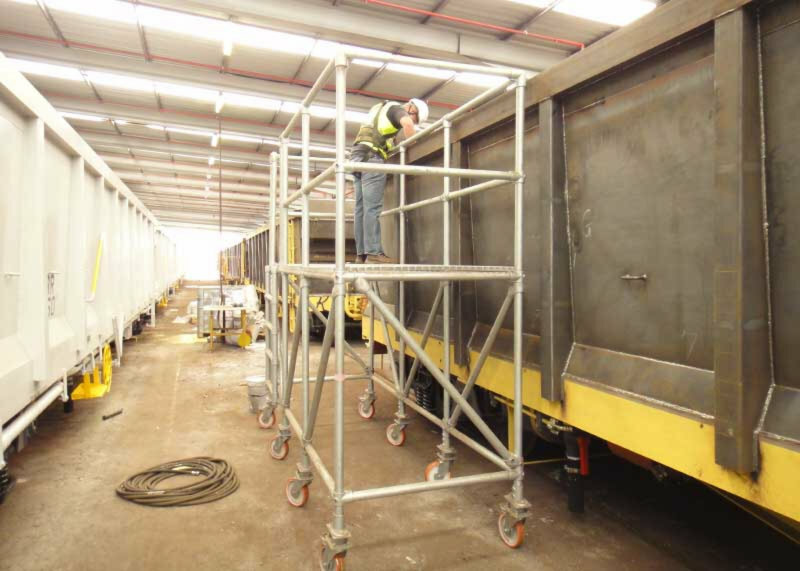 Rolling platforms allow for easy access to areas that are difficult to reach. The platform provides a safe and ergonomic work experience. Large casters on the bottom of the structure make moving the platform across your facility a breeze. 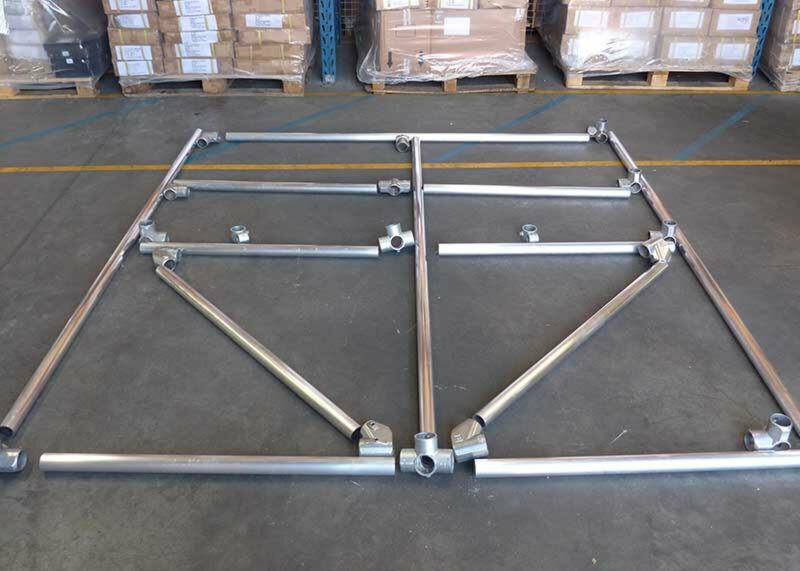 Once the unit is in place, these casters lock to form a stable working platform. 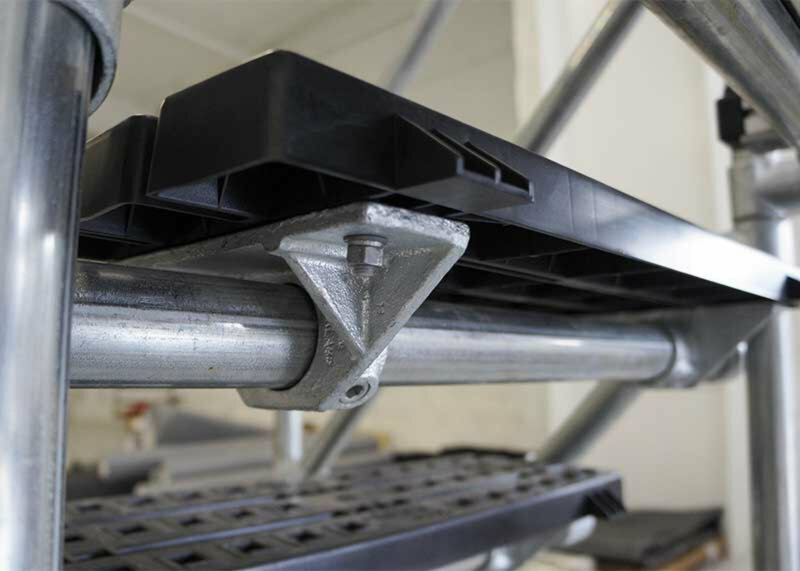 The use of fittings and adjustable casters in the construction of our platforms allow you to make minor adjustments. These adjustments to the platform compensate for unlevel surfaces or varying heights. Quote on a Rolling Platform?